Julie Otsuka’s commanding debut novel paints a portrait of the Japanese internment camps unlike any we have ever seen. With crystalline intensity and precision, Otsuka uses a single family to evoke the deracination—both physical and emotional—of a generation of Japanese Americans. In five chapters, each flawlessly executed from a different point of view—the mother receiving the order to evacuate, the daughter on the long train ride to the camp, the son in the desert encampment, the family’s return to their home, and the bitter release of the father after more than four years in captivity—she has created a small tour de force, a novel of unrelenting economy and suppressed emotion. 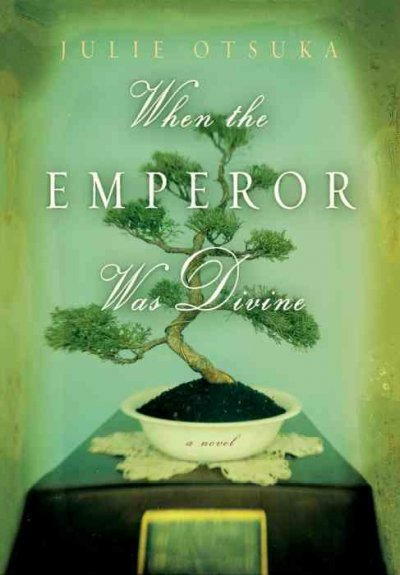 Spare, intimate, arrestingly understated, When the Emperor Was Divine is a haunting evocation of a family in wartime and an unmistakably resonant lesson for our times. It heralds the arrival of a singularly gifted new novelist.